A short biography of Benoit Broutchoux, French anarchist active in the mines of the North. Benoit Broutchoux was born at Essertenne in France on 7tth November 1879. He was one of eight children . His father Sebastien was a metalworker. He started work very young as a carter on a farm, then worked in several factories before becoming a miner at Montceau les Mines. He injured his leg in a work accident. In 1898 he went to Paris and worked as a ditch digger in the construction of the Paris metro. It was in Paris that he first started frequenting anarchist and syndicalist circles. He contributed several articles to Le Chemineau, an anarchist newssheet. He returned to Montceau in Spring 1900. He was arrested after the death of a striking metal worker, Brouillard, when he gave a fiery speech at his funeral. He was condemned for “excitation to murder and pillage, insult to the Army, outrageous words on the parliamentary government”. Shortly after his release ,on the 7th September 1900 he was sentenced in his absence to six months jail for having struck a policeman. Arrested in October he managed to evade arrest . Arrested again his sentence was changed to 4 months in jail in 1901. After coming out of prison he went with a group of miners from Montceaux to Lens in northern France where they had agreed to work in the coal mines of the Pas de Calais. He passed himself off there as Benoit Delorme, using papers lent to him by a miner of that name. During this period he met and moved in with Fernande Richir, who was to be his life’s companion. 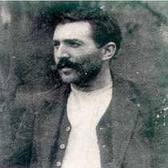 Fernande was also a convinced anarchist, and contributed to various publications. In October of 1902 he was involved in a strike for the 8-hour day and subsequently arrested for “assault on the right to work” and identity theft. He now opposed himself to the miners’ union leaders Emile Basly and Arthur Lamendin, who had reformist positions based on the politics of the socialist Jules Guesde (the character of Etienne Lantier in Zola’s Germinal is apparently based on Basly). An advocate of direct action and sabotage, he often operated with night squads of strikers cutting telegraph lines. Whilst involved in workplace activity, he also spread propaganda and information on birth control and openly advocated unions of free love against the institution of marriage. For this he received 20 days jail for “outrages to good morals", overturned on appeal.He became a leading light in the Jeune Syndicat ( Young Union) editing its paper Reveil Syndicale from April to October 1903, and then its successor L’Action Syndicale. Following the appalling mine disaster of Courrieres on 10th March 1906 which claimed one thousand one hundred and one lives, the Jeune Syndicat was able to make much headway against the Vieux Syndicat of Basly, with the strike that followed the disaster pushing Benoit into prominence. After an attempt to seize the Lens town hall ( see also the libcom biography of Antoinette Cauvin aka Madame Sorgue) Broutchoux was arrested with three others, at a stormy meeting chaired by Basly. He received 2 months imprisonment for violence to a policeman and “rebellion”. The anarchist Pierre Monatte replaced him in his editorial post during his incarceration ( they had first met at the funeral of Louise Michel in Paris). The following year, both he and Monatte attended the International Anarchist Congress at Amsterdam, where Monatte and Malatesta debated robustly over the question of the unions. Out of a job and blacklisted, Broutchoux ran a café in Lens between 1906 and 1908. At the same time he bought a small print shop at Wingles and together with Georges Dumoulin edited L’Action Syndicale, with a weekly print run of between 3,500 and 5,000, sometimes going up to 12,000 for significant occasions. In 1906 he attended the Amiens congress of the CGT where the Guesdists were defeated and the Charter of Amiens was adopted, which advocated struggle around immediate economic interests coupled with the need to establish a new society, independent from all political parties and the State. Just before the Congress he managed to evade the police during a meeting convened to protest the arrest of the individualist anarchist Andre Lorulot. Shortly after the Congress he was again arrested and tried with Lorulot for incitement to military disobedience. In 1908 the supporters of Basly slandered him with false accusations that he had used the Courrieres widows fund to finance his café. Revolutionary politics was losing its influence in the northern coalfields, to flare up now and again during important strikes. In December 1909 Broutchoux encouraged the strike of workers on the construction of the Canal du Nord, and congratulating them on their use of sabotage. As a result of this he was arrested on 18th January 1910 at Metz en Couture, whilst standing among fifty strikers, during a confrontation with the departmental prefect. His lawyer obtained his release on the understanding that Broutchoux would no longer agitate among the canal workers. He was again arrested on 13th February 1910, whilst waiting to meet up with a canal worker. He was also sentenced for his part in a campaign against the rising cost of living in summer 1911. For daring to escape from prison he received a further year’s imprisonment in January 1912 but was amnestied in July of the same year. At the outbreak of the First World War, the departmental prefect made the decision to arrest 41 militants in the area. It was then decided to release them in order for them to be conscripted. Broutchoux avoided this thanks to the officer in charge signing the first page where the other forty militants were listed, and not the second page, where Broutchoux alone was listed. He thus remained in prison until September. Finally conscripted, his infantry regiment suffered a gas attack, and Broutchoux was temporarily invalided out of the army because of pulmonary lesions. In September 1916 he served on the Comite de Defense Syndicaliste d’Esprit Libertaire (Defense Committtee for Syndicalists of Libertarian Persuasion) and contributed to the anti-militarist paper, Ce Qui’ Il Faut Dire - CFQD - (What Needs To Be Said) run by the anarchist Sebastien Faure. He continued his activity as an anarchist syndicalist. In 1921 he participated in the Lille Congress of the CGT. A Guesdist present drew his revolver and fired on and injured Broutchoux in the shoulder . He was involved in the split in the CGT at this conference which led to the founding of the CGTU, and according to the anarchist Le Meillour, made an error of one day’s duration of joining the Communists! In 1924 when Communists in the CGTU opened fire with revolvers on anarchist oppositionists, killing two anarchist militants, Poncet and Clot, Broutchoux quit the CGTU, and joined the anarchist organisation Union Anarchiste . He took part that year in the attempt to make the anarchist paper Le Libertaire a daily. He then moved to the South of France. In February 1931 his son Germinal was gunned down by the police. The press from the Communist L’Humanite on the left to the Figaro on the right used this to attack both Germinal and his father. Only the anarchists defended Broutchoux, notably in an article by Le Meillour in his article Fermez Vos Gueules! (Shut Your Gobs). The death of his son was a terrible blow for Broutchoux from which he never fully recovered (his other children had all died young over the course of the years). Broutchoux was now living in poverty and his health was deteriorating. His mental health also deteriorated and he died six years later on 2nd June 1944. Fernande, consumed by grief, died three years after. Strangely enough, the only current obituary that appeared was written by Dumoulin in a collaborationist newspaper! For many years almost forgotten, Broutchoux’s contribution to the workers movement has been revived, thanks in part to a graphic novel that appeared about him in 1979 ( this first appeared as a serialised comic strip in a local Lille newspaper in 1976). A cultural centre has been named after him by anarchists in Lille. Like Ted Leggatt in England, Broutchoux refused on principle to pay fares when using the trains and this got him into quite a few confrontations with the authorities. He believed that syndicalism should be unabashedly prefixed by anarcho-, and he often fell out with Dumoulin over this, when the latter favoured a “neutral” and hypocritically “anti-political “ stance, syndicalism becoming an end in itself for him. Monatte, despite his admiration for Broutchoux, ended up siding with Dumoulin over this, because of his move from anarcho-syndicalism to revolutionary syndicalism. Dumoulin ended up by moving up the union apparatus, Broutchoux always refused this. In the end Dumoulin made compromises with the Vichy government over their Charter of Labour during World War Two. Broutchoux, by attempting to be non-doctrinaire, rejected both the revolutionary syndicalism of Dumoulin and co. and the contempt for the working class as expounded by individualists like Lorulot. For this he was often marginalised. His home was always strewn with books and good old-fashioned anarchist hospitality was always offered at his table to anyone visiting the region. Short and strong, he was a battler who never descended to personal animosity.